“Venezuela is going to enter a period of suffering no nation in our hemisphere has confronted in modern history,” Senator Rubio proclaimed. 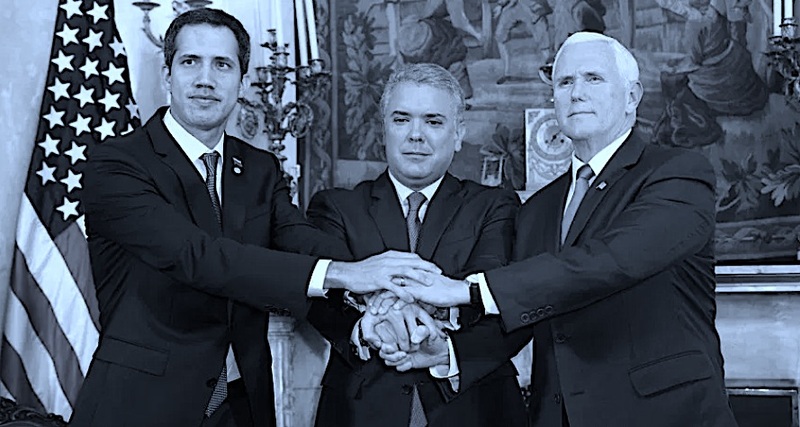 The Traitors’ Trio: Guaido and Duque betray Latin America and their own countries. Pence betrays international law, which is what US rulers do. Guaido’s formal alliance with and service to clear foreign enemies of the legitimate government of Venezuela makes him a traitor according to practically all international norms, including US statutes applying to US nationals.